Glazed Mini Pumpkin Pie Spice Bundt Cake: these fall favorite mini bundt cakes are super easy to make and filled with pumpkin pie spice flavors in every bite. 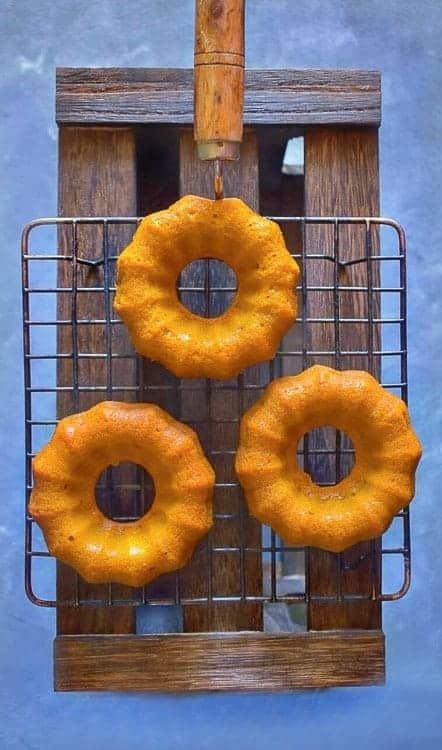 The cake and glaze, both have pumpkin flavors and they can be made 2 days in advance (stored separately). This Glazed Mini Pumpkin Pie Spice Bundt Cake is my official start to the festive season of fall. I’m a huge pumpkin pie/pumpkin spice flavor fan and wait the entire year to start my yearly quota of everything pumpkin!! This year, the fun started a little earlier than expected …Yessss!! 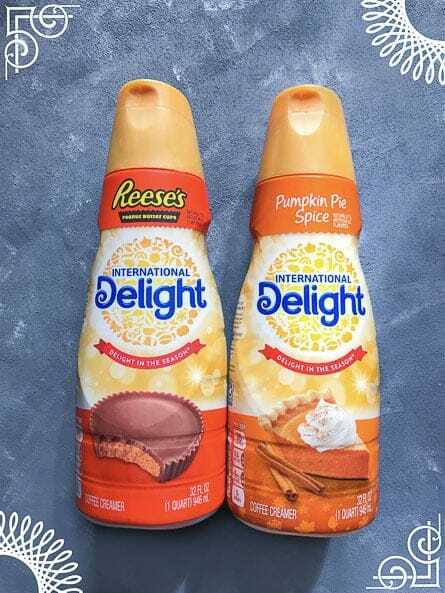 As I recently came across not only the ‘International Delight® Pumpkin Pie Spice’ coffee creamer but also ‘International Delight® REESE’S Peanut Butter Cup‘ at our local Walmart . The feeling was literally like ‘a Kid in a candy store’ !!! 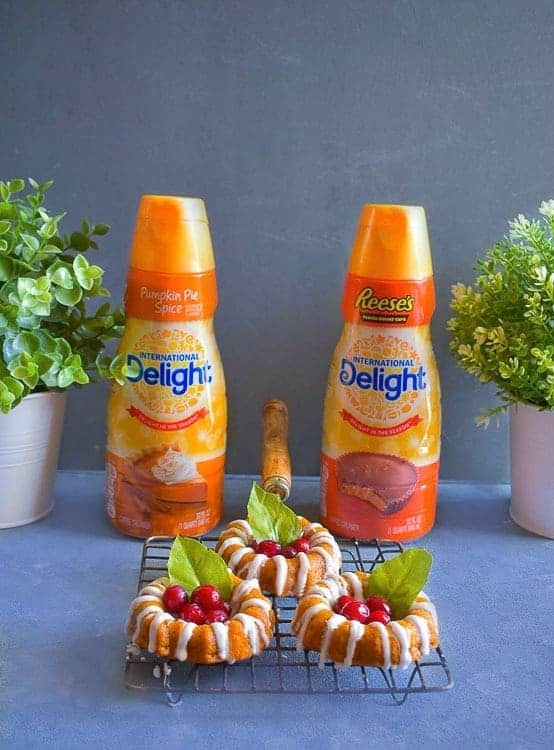 We love International Delight® coffee creamers not only in our everyday coffee (/tea) but, I also use them in baking. So, I made myself some piping hot coffee and added the International Delight® REESE’S Peanut Butter Cup creamer and started with baking the cake. 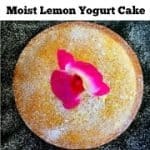 Since, we both love cake, I usually bake small versions or mini cakes, as it’s easier to finish and also easier to send to friends and family. 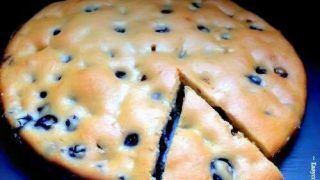 The recipe is absolutely easy and just like baking any other mini cake. 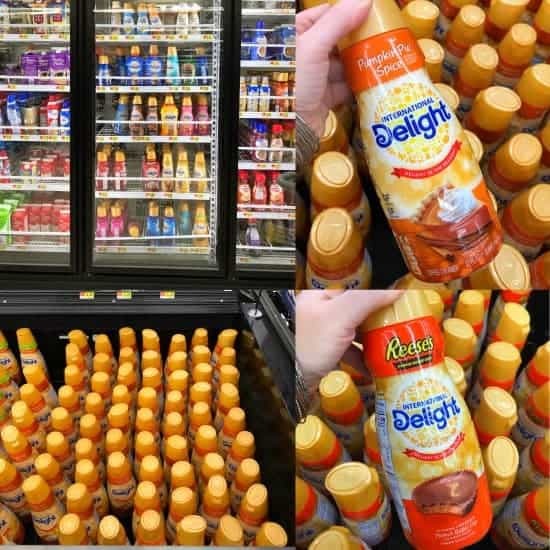 The only difference is that we replace any flavor (chocolate/ fruits/nuts) with pure pumpkin puree and the International Delight® Pumpkin Pie Spice Coffee Creamer. That’s it, the rest of the process is the same and the cake bakes in no time (about 16-18 minutes). 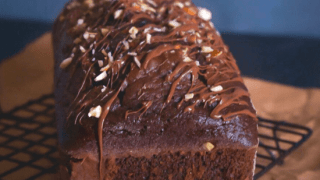 This cake will literally make your kitchen smell like fall has finally arrived. The sweet-fresh fragrance of pumpkin and just the aroma of cinnamon/nutmeg….. all fall favorites! 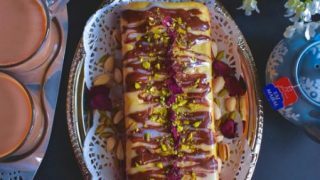 (since I couldn’t wait, I had to try one mini cake as soon as it came out – the fragrance literally had me in the kitchen all the time). All you do, is add 2 tbsp of the coffee creamer in powdered sugar and whisk to a smooth, lump-free consistency. 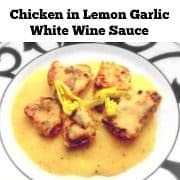 The glaze can be made thick or thin by adding less or more of creamer. Also, if it crusts up during the application, simply add 1 drop of hot water and whisk. 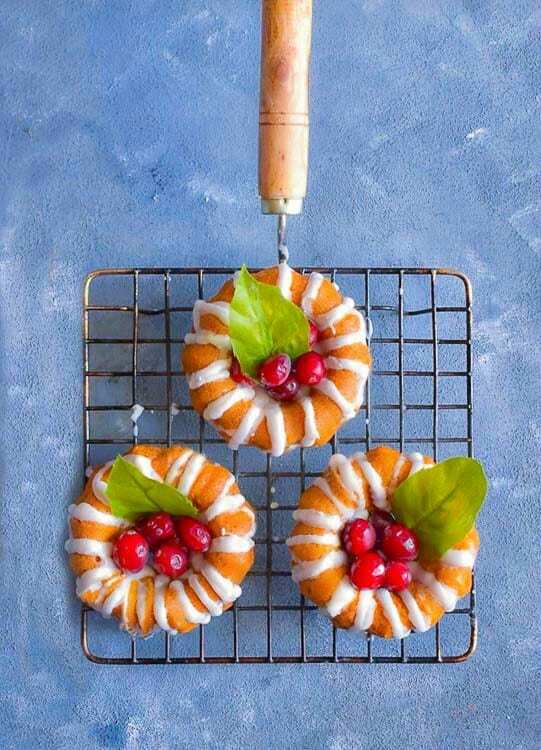 Now, comes the most fun part, decorating the Mini Pumpkin Pie Spice Bundt Cake and I chose some frozen cranberries to go along with our glaze. 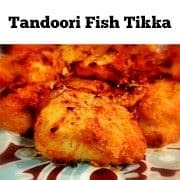 I’m telling you, this one is super easy and it can impress anyone you serve them to. Simply add cranberries in the middle of the cake once the glaze is done. 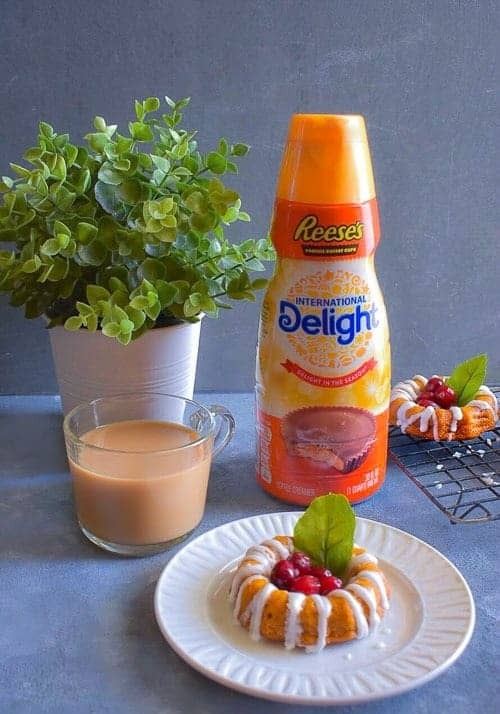 You can even visit this —> International Delight® <— link for more inspiration for using their coffee creamers. Remember, It just doesn’t feel like the holidays without a splash of seasonal flavor. 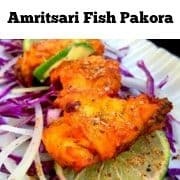 Stock up and make that merriment last!!! 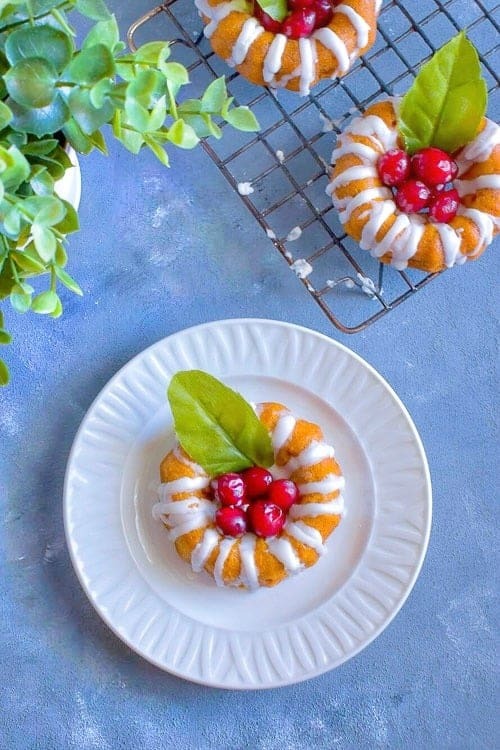 So, go ahead and stock up on these festive coffee creamers flavors and try this mini bundt cake recipe asap. 1/2 Tsp Pumpkin Spice Seasoning - if you want a light taste of pumpkin, then you can skip this. Spray the mini bundt pans with oil and keep aside (I'm using 8 individual molds). 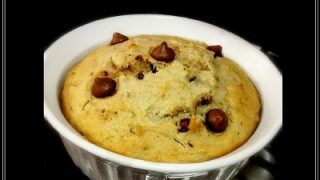 In a large bowl, sieve together flour, baking powder, baking soda, salt and keep aside. 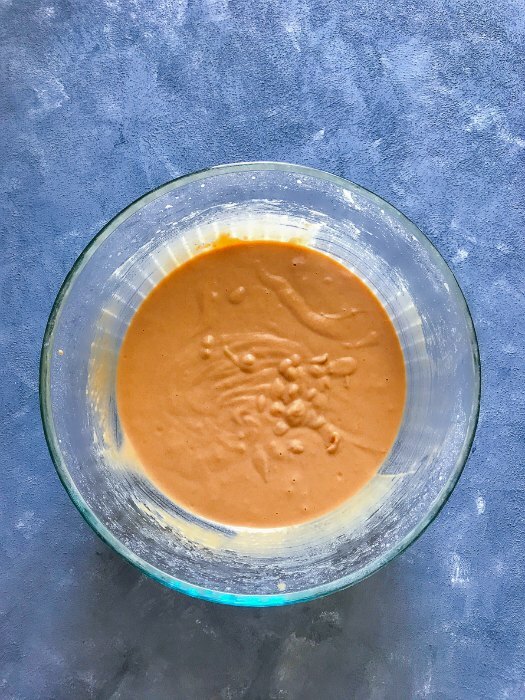 Take a large bowl, add oil, sugar, yogurt, milk, and whisk for 2 minutes to form a smooth batter. 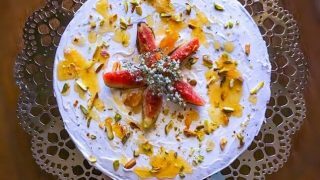 Now add pumpkin puree, coffee creamer and whisk for a minute to mix everything evenly. Slowly add the dry ingredients and fold the batter using a spatula. 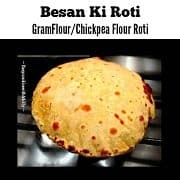 (Please fold the dry ingredients slowly to incorporate air. 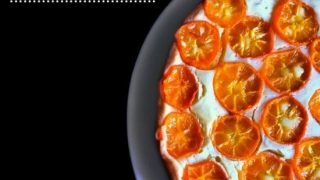 This will result in lighter and fluffy cake). Pour the batter half way into the bundt pan and bake for 16-18 minutes. After 16 minutes, poke a toothpick into the cake and remove instantly. If the toothpick comes out clean, it means the cake is cooked completely. 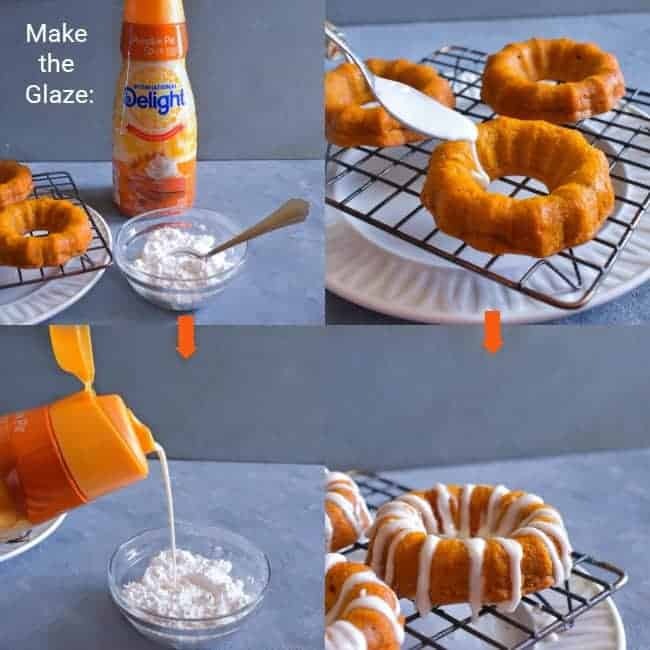 In a bowl, whisk together powdered sugar and coffee creamer till you form a thick even glaze. 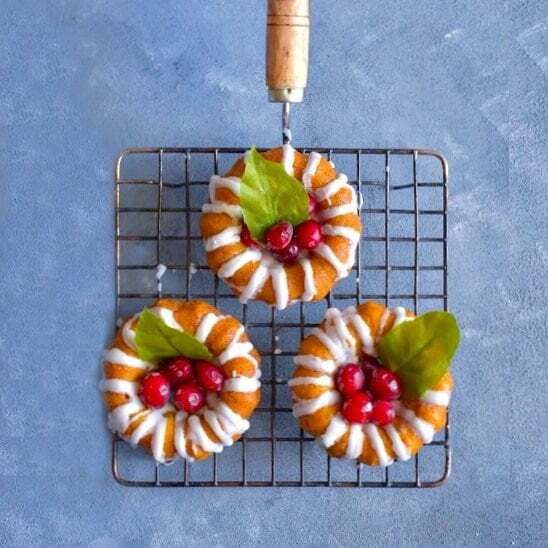 Pour the glaze over the cooled mini pumpkin bundt cakes and place cranberries in the center. You can store the cake in the fridge for 2 days (glaze kept separately) or freeze in ziplock bags for upto 2 weeks. 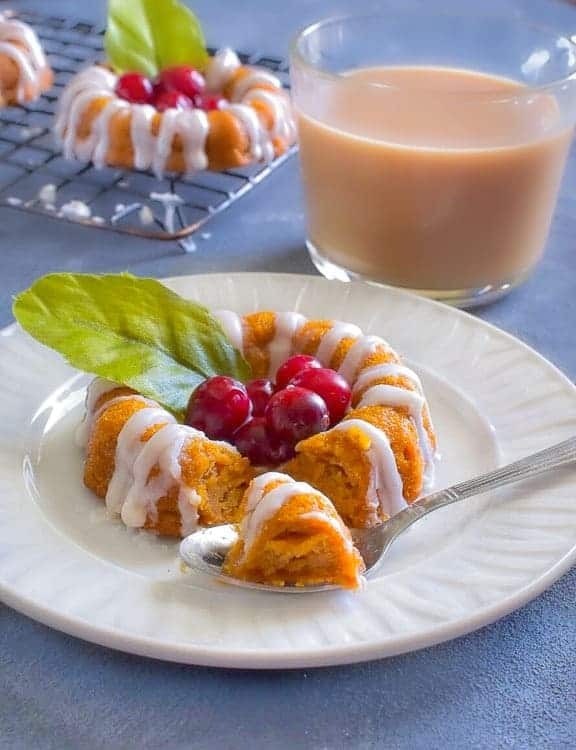 4 Replies to "Glazed Mini Pumpkin Pie Spice Bundt Cake"
My mouth is watering over this mini cake!